Sun., Sept. 3, 2017, 6:23 p.m.
NEW YORK – John Ashbery, an enigmatic giant of modern poetry whose energy, daring and boundless command of language raised American verse to brilliant and baffling heights, died early Sunday at age 90. 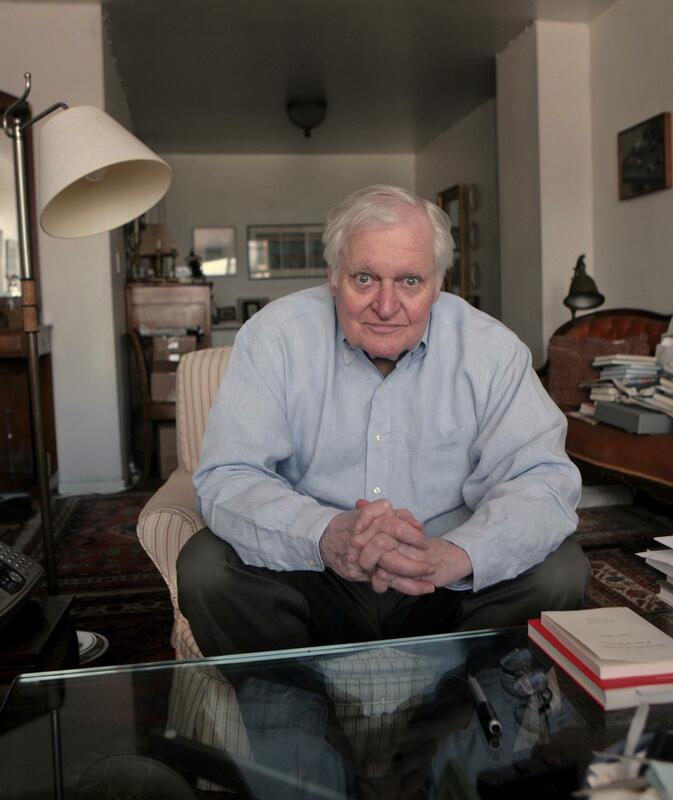 Ashbery, winner of the Pulitzer Prize and often mentioned as a Nobel candidate, died at his home in Hudson, New York. His husband, David Kermani, said his death was from natural causes. Among a generation of poets that included Richard Wilbur, W.S. Merwin and Adrienne Rich, Ashbery stood out for his audacity and for his wordplay, for his modernist shifts between high oratory and everyday chatter, for his humor and wisdom and dazzling runs of allusions and sense impressions. But to love Ashbery it helped to make sense of Ashbery, or least get caught up enough in such refrains as “You are freed/including barrels/heads of the swan/forestry/the night and stars fork” not to worry about their meaning. Writing for Slate, the critic and poet Meghan O’Rourke advised readers “not to try to understand the poems but to try to take pleasure from their arrangement, the way you listen to music.” Joan Didion once attended an Ashbery reading simply because she wanted to determine what the poet was writing about. Ashbery also was a well-regarded translator and critic. At various times, he was the art critic for The New York Herald-Tribune in Europe, New York magazine and Newsweek and the poetry critic for Partisan Review. He translated works by Arthur Rimbaud, Raymond Roussel and numerous other French writers. He was a teacher for many years, including at Brooklyn College, Harvard University and Bard College. Ashbery was born in Rochester, New York, in 1927 and remembered himself as a lonely child and bookish child, haunted by the early death of his younger brother and by his attraction to other boys. Ashbery grew up on an apple farm in the nearby village of Sodus, where it snowed often enough to inspire his first poem, “The Battle,” written at age 8 and a fantasy about a fight between bunnies and snowflakes. He was so satisfied with the poem that he didn’t write another until boarding school, the Deerfield Academy, when his work was published in the school paper. Meanwhile, he took painting lessons and found new meaning in life, or Life. An article in Life magazine about a surrealist exhibit at the Museum of Modern Art so impressed him that he kept rereading it for years. His mind broadened further at Harvard University, reading W.H. Auden and meeting fellow poet and longtime comrade, Kenneth Koch, along with Wilbur, Donald Hall, Robert Bly, Frank O’Hara and Robert Creeley. He would be grouped with O’Hara and Koch as part of the avant-garde “New York Poets” movement, although Ashbery believed what they really had in common was living in New York. Published: Sept. 3, 2017, 6:23 p.m.